We will have a den meeting on Monday evening and will focus entirely on planning for the upcoming Haunted Hike. 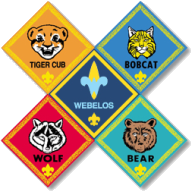 This is a full-den event and both scouts and their parents are needed for this activity. Please come prepared with some ideas for different stations and equipment that would be needed. Check your halloween decorations and consider what you have that can be used to haunt the woods. Think of ideas for different stations/scenes and what we can do with the boys. 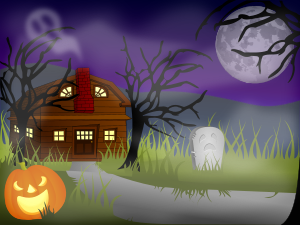 Think of the best haunted houses you've been to and how they made them that way. Regardless of whether you can make it to the Haunted Hike, please come tomorrow. Your ideas are still helpful and it still counts toward the planning of an outdoor activity needed for Outdoorsman. Thanks. Let me know if you have any questions or concerns and I'll see you all on Monday. P.S. I'll also have class-B t-shirts for the boys whose registration fees are renewed.